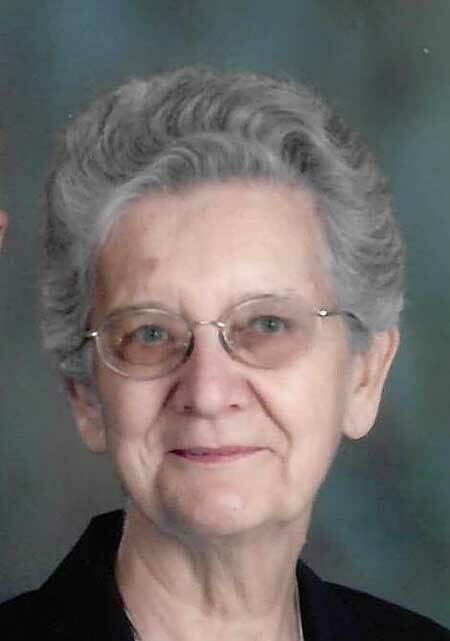 ADA — Janet L. Hubbell, age 84, died on Saturday, January 12, 2019 at 5:55 a.m. at Vancrest of Ada. She was born on April 10, 1934 in Lima, Ohio to John Albert and Louella (Leatherman) Welsh who preceded her in death. On August 8, 1953 Janet married Thomas C. “Tom” Hubbell who died on August 17, 2015. Janet retired from the Ada Herald after working as a sales person and Editor for over 25 years. She also worked as a professional photographer. She was a member of the County Line Church of the Brethren, Harrod. She was one of the first EMT’s on the Ada Rescue Squad. Janet served for many years as a board member for Ada Schools. She is survived by a son, Steve (Susan) Hubbell of Ada; two daughters: Michelle (Dennis) Klingler of Elida and Barb (Tim Snyder) Klingler of Harrod; six grandchildren: Christina (Jesse) Butler, Jesse T. (Katie) Hubbell, Michael (Mindy) Klingler, Ty (Sabrina Neeley) Klingler, Josh (Laina) Klingler and Nikki (Lason) Clum; nine great grandchildren; and a sister, Sandra (Joe) Stobbe of Ada. Janet was preceded in death by a sister, Gloria Amey. Funeral services will begin at 11 a.m. on Thursday, January 17, 2019 at Hanson-Neely Funeral Home, Ada with Pastor Thomas Dearth officiating. Burial will be at Woodlawn Cemetery, Ada. Friends may call until time of service on Thursday at the Hanson-Neely Funeral Home, Ada. In lieu of flowers memorial contributions may be made to the American Cancer Society and/or the Alzheimer’s Association.